Last week I finally managed to complete Celestial Blessings. I had been sitting on that one since November last year. It was quite frustrating to complete the ranged DPS challenge. I tried quite a lot of times and came very close a few times, but finally gave up. Now that I had a few more pieces of gear from ‘Downfall’, I decided to try again and did it in one go ! After visiting the other celestials in Pandaria, I received my iLvl 600 cloak ! 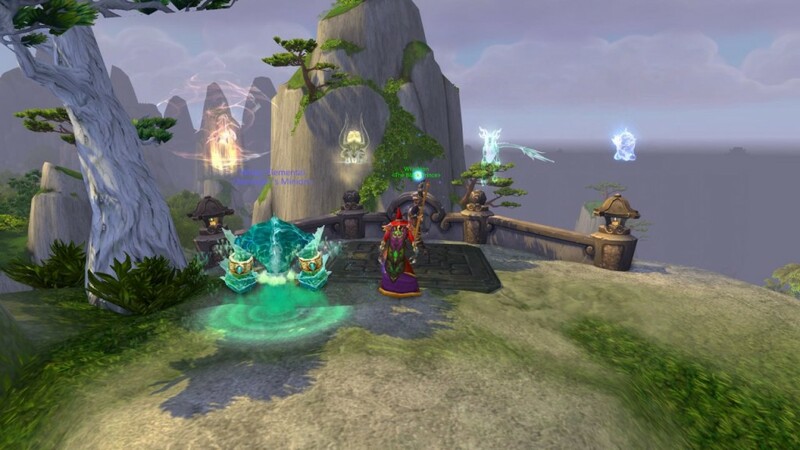 Now in order to make it a legendary cloak, you have to defeat all four celestials on the Timeless Isle. I figured that wasn’t going to happen soon, so I bought a gem and got an enchantment from my alt and went on my merry way. Last Wednesday however, I decided to check anyway whether some group would be doing the celestials and lo and behold, there was one. We managed to do three of the four ! Only Xuen the white tiger left to do. The alliance tagged him first however so we didn’t get that kill and it was getting late so I figured I’d get a shot at that sooner or later. As a nice bonus, I got my fourth tier set piece, so I get the tier set bonus :). Last friday, when I logged on to Morpheus to do my daily leathercrafting thing, I noticed a group was just about to take on Xuen. I quickly logged out and logged Zen in, and managed to get a few sets in, in order to complete the quest and get the legendary. Hooray ! After I got that and went back to the Isle, there was a group forming for Ordos, who you can only reach when you got the cloak, so that was a nice bonus. All in all quite a bit of luck and a nice turn of events. Never thought I’d be able to get the legendary cloak, but after a very long questline, I managed it. Below is the fun cutscene (of sorts) you get once you get the item in order to turn your cloak into a legendary one.